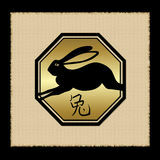 The rabbit sign is a graceful being. They are very polite and kind to the point that it’s hard not to like them. They have an artistic nature so they tend to move towards career or hobbies that involve the arts. The hare is a calm creature, no matter how crazy things can become, these people will know how to hold themselves together. Best of all, they are an elegant sign so look to them for advice on taste and styles because they sure know what’s the trend. On the other hand, the rabbit is a very cunning animal. If they want to achieve something, they will find deceptive ways to trick people. If they are obsess with something, they won’t stop themselves from being self-indulgent to the point that it might be harmful to their health or moral values. Worst of all, don’t be dissuade by their peaceful look. Deep down, they are strict in which they will force others to abide by their own rules to accomplish what they want.